For our new series, Henry Osman stamps our passports in underground scenes worldwide. Borderlines goes in-depth on a global scale, underscoring the unknowns worth discovering. Mexican duo Marbeya Sound makes music that’s too intimate to be cosmic yet too expansive to be earthly. Their slowly throbbing soundscapes are marked by the currents of the ocean, music that makes you feel like you’re floating in the waves. Even though they’re from landlocked Mexico City, they first met in a hotel in Acapulco and their music is certainly informed by the slowness of seaside life and its natural rhythms. And don’t think that their music is too slow or too ambient; they may sound simple, but their process is complex. They collect old 80s Soviet synths and use up to 80 channels in a single song, weaving together multiple sounds to create a unified work that pulses with life. Listen to “Implanted Memories,” the first single off of their upcoming album Colonies, and enter their water-soaked world. It begins at a steady pace, but then you can hear the sea in the background, a quiet whoosh, and a sonic crest begins to form as they layer in more and more. The crests build, forming a tantalizing wall of sound that threatens to overwhelm, and just when you think it will, it stops. Abstract and instrumental, but also lush and cinematic, “Implanted Memories” makes for an intensely emotional, almost spiritual experience, one that I hope Colonies will continue. 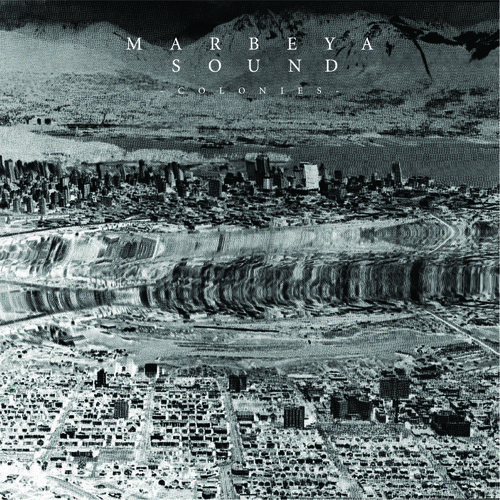 Marbeya Sound's Colonies LP is being self-released September 24.